Free VPN Watch TV Online: Unblock Google Allo everywhere: How to use Google Allo in Mainland China, Iran and UAE with a VPN service? Unblock Google Allo everywhere: How to use Google Allo in Mainland China, Iran and UAE with a VPN service? Google Allo, an instant messaging mobile app developed by Google, has been announced and available for both Android and iOS users since September 21, 2016. The best characteristic of Google Allo is a virtual assistant in the app who provides a "smart reply" function that allows users to reply without typing. 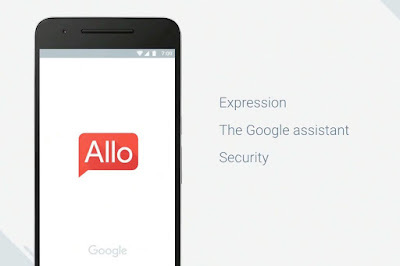 As we all know, Google services, including Google Allo, are not available in every country. In such countries as Mainland China, Iran and UAE, one should use a VPN service to access Google, including Google Allo. In this article, we'll recommend a good USA VPN service and introduce how to use it to unblock Google Allo everywhere. I strongly recommend FlyVPN's App for Android and iOS to unblock Google Allo everywhere, especially in Mainland China, Iran and UAE. Every new users will get 14 days free membership on FlyVPN's App for Android and iOS. With the invitation code 270 020 31, you can get 5 more days free membership. If you don't know how to use FlyVPN App for Android and iOS, please read the tutoriel for free VPN on Android and iOS. After connecting to a VPN server in USA, one'll get an American IP and thus be able to use Google Allo everywhere. Then we'll need to clear the cache in your Android and iOS device to let your device "forget" your real geographic location. Finally, you just need to open Google Allo and you'll find that you are able to use Google Allo from anywhere. If you still have questions on how to unblock Google Allo in Mainland China, Iran and UAE, please leave a comment to ask your question. We'll answer it as soon as possible.